1. Barbara Ellen DYAL was born 21 Mar 1943, San Antonio, Bexar, Texas, USA (daughter of Herman Ellis DYAL and Evelyn Margaret SPECKELS); died 30 Nov 2009, Waco, McLennan, Texas, USA; was buried 2 Dec 2009, Oakwood Cemetery, Waco, McLennan, Texas, USA. Blaine Cole BARRITT was born 24 Apr 1967, Fort Worth, Tarrant, Texas, USA; died 24 Apr 1967, Fort Worth, Tarrant, Texas, USA; was buried 25 Apr 1967, Bourland Cemetery, Keller, Tarrant, Texas, USA. 2. Herman Ellis DYAL was born 10 Aug 1912, Pandora, Wilson, Texas, USA (son of Elle Jay DYAL and Isa Lee TUMLINSON); died 17 Jan 1987, New Braunfels, Comal, Texas, USA; was buried 20 Jan 1987, Mission Burial Park South, San Antonio, Bexar, Texas, USA. 3. Evelyn Margaret SPECKELS was born 4 May 1914, San Antonio, Bexar, Texas, USA (daughter of Gilbert Otto SPECKELS and Ellen Mae KING); died 8 Jan 1997, New Braunfels, Comal, Texas, USA; was buried 11 Jan 1997, Mission Burial Park South, San Antonio, Bexar, Texas, USA. Carolyn Ann DYAL was born 19 Jul 1938, San Antonio, Bexar, Texas, USA; died 19 Jul 1938, San Antonio, Bexar, Texas, USA; was buried 24 Jul 1938, Mission Burial Park South, San Antonio, Bexar, Texas, USA. 1. Barbara Ellen DYAL was born 21 Mar 1943, San Antonio, Bexar, Texas, USA; died 30 Nov 2009, Waco, McLennan, Texas, USA; was buried 2 Dec 2009, Oakwood Cemetery, Waco, McLennan, Texas, USA. 4. Elle Jay DYAL was born 13 Jun 1866, Milton, Santa Rosa, Florida, USA (son of Enoch DYAL and Sarah MAYO); died 26 Apr 1932, San Antonio, Bexar, Texas, USA; was buried 29 Apr 1932, Mission Burial Park South, San Antonio, Bexar, Texas, USA. 5. Isa Lee TUMLINSON was born 24 Nov 1877, Pleasanton, Atascosa, Texas, USA (daughter of Absalom Tidwell TUMLINSON and Cynthia Jane BAKER); died 30 Sep 1950, San Antonio, Bexar, Texas, USA; was buried 2 Oct 1950, Mission Burial Park South, San Antonio, Bexar, Texas, USA. Ernest Mayo DYAL was born 21 Jul 1894, Stockdale, Wilson, Texas, USA; died 7 Jul 1965, Oakland, Alameda, California, USA; was buried 12 Jul 1965, Golden Gate National Cemetery, San Bruno, San Mateo, California, USA. Olia Mae DYAL was born 11 Jun 1896, Stockdale, Wilson, Texas, USA; died 30 Oct 1946, San Antonio, Bexar, Texas, USA; was buried 31 Oct 1946, Mission Burial Park South, San Antonio, Bexar, Texas, USA. Alma Myrtle DYAL was born 25 Apr 1899, Stockdale, Wilson, Texas, USA; died 15 Mar 1946, San Antonio, Bexar, Texas, USA; was buried 17 Mar 1946, San Fernando Cemetery II, San Antonio, Bexar, Texas, USA. Eula Marshall DYAL was born 26 May 1902, Stockdale, Wilson, Texas, USA; died 23 Jun 1955, San Antonio, Bexar, Texas, USA; was buried 25 Jun 1955, Mission Burial Park South, San Antonio, Bexar, Texas, USA. Florence Mille DYAL was born 16 Jan 1905, Stockdale, Wilson, Texas, USA; died 24 Oct 1958, San Antonio, Bexar, Texas, USA; was buried 27 Oct 1958, Mission Burial Park South, San Antonio, Bexar, Texas, USA. William Marietta DYAL was born 24 Feb 1907, Pandora, Wilson, Texas, USA; died 31 Aug 1979, Garland, Dallas, Texas, USA; was buried 3 Sep 1979, Cranes Mill Cemetery, Startzville, Comal, Texas, USA. Edward Lee DYAL was born 1 Jun 1909, Stockdale, Wilson, Texas, USA; died 23 Nov 1991, Bexar County, Texas, USA; was buried , Mission Burial Park South, San Antonio, Bexar, Texas, USA. 2. Herman Ellis DYAL was born 10 Aug 1912, Pandora, Wilson, Texas, USA; died 17 Jan 1987, New Braunfels, Comal, Texas, USA; was buried 20 Jan 1987, Mission Burial Park South, San Antonio, Bexar, Texas, USA. Gilford Enoch DYAL was born 15 Sep 1914, Pandora, Wilson, Texas, USA; died 17 Mar 1978, San Antonio, Bexar, Texas, USA; was buried 20 Mar 1978, San Fernando Cemetery III, San Antonio, Bexar, Texas, USA. Gilbert Absalom DYAL was born 15 Sep 1914, Pandora, Wilson, Texas, USA; died 23 Mar 1978, Prescott, Yavapai, Arizona, USA; was buried 28 Mar 1978, Bunkers Eden Vale Cemetery, Las Vegas, Clark, Nevada, USA. 6. Gilbert Otto SPECKELS was born 10 Sep 1892, La Grange, Fayette, Texas, USA (son of Henry William SPECKELS and Anna MEERSCHEIDT); died 20 Aug 1969, Van Nuys, Los Angeles, Los Angeles, California, USA; was buried 25 Aug 1969, Glen Haven Memorial Park, Sylmar, Los Angeles, Los Angeles, California, USA. 7. Ellen Mae KING was born 16 Oct 1890, Sayers, Bexar, Texas, USA (daughter of Arthur Joseph KING and Elizabeth EICHEN); died 9 Jan 1978, San Antonio, Bexar, Texas, USA; was buried 11 Jan 1978, Mission Burial Park South, San Antonio, Bexar, Texas, USA. 3. Evelyn Margaret SPECKELS was born 4 May 1914, San Antonio, Bexar, Texas, USA; died 8 Jan 1997, New Braunfels, Comal, Texas, USA; was buried 11 Jan 1997, Mission Burial Park South, San Antonio, Bexar, Texas, USA. 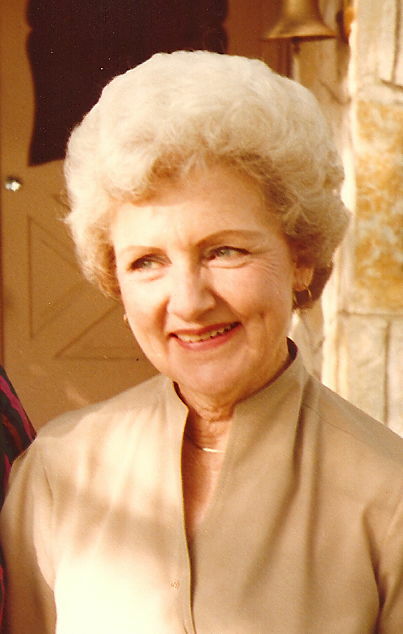 Lillian Mae SPECKELS was born 21 May 1915, San Antonio, Bexar, Texas, USA; died 25 Jul 1987, San Antonio, Bexar, Texas, USA; was buried 28 Jul 1987, Sunset Memorial Park, San Antonio, Bexar, Texas, USA. Gilbert Henry SPECKELS was born 6 Nov 1916, San Antonio, Bexar, Texas, USA; died 18 Apr 1979, Fresno, Fresno, California, USA; was buried 21 Apr 1979, Ivy Lawn Memorial Park, Ventura, Ventura, California, USA. 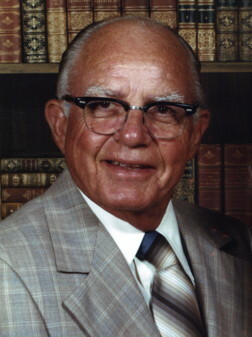 Jack Louis SPECKELS was born 22 Jul 1922, San Antonio, Bexar, Texas, USA; died 11 Dec 1961, San Fernando, Los Angeles, California, USA; was buried 15 Dec 1961, Glen Haven Memorial Park, Sylmar, Los Angeles, Los Angeles, California, USA. Bonnie Aileen SPECKELS was born 29 Jan 1924, San Antonio, Bexar, Texas, USA; died 14 Jun 2009, Pleasanton, Alameda, California, USA; was buried 22 Jun 2009, Mission Burial Park South, San Antonio, Bexar, Texas, USA. 8. Enoch DYAL was born 14 Jun 1823, Georgia, USA; died 2 Jul 1909; was buried , Pleasant Valley Cemetery, Pandora, Wilson, Texas, USA. 9. Sarah MAYO was born Abt 1843, Alabama, USA (daughter of Reuben H. MAYO and Lydia HINOTE); died Abt 1874. Mary Etta DYAL was born 7 Jan 1860, Milton, Santa Rosa, Florida, USA; died 27 Jan 1930, Stockdale, Wilson, Texas, USA; was buried 28 Jan 1930, Pleasant Valley Cemetery, Pandora, Wilson, Texas, USA. John Jasper DYAL was born 2 May 1861, Florida, USA; died 31 Jul 1944, San Antonio, Bexar, Texas, USA; was buried 1 Aug 1944, Pleasant Valley Cemetery, Pandora, Wilson, Texas, USA. Reuben DYAL was born Abt 1863, Milton, Santa Rosa, Florida, USA; died Abt 1866, Milton, Santa Rosa, Florida, USA. Victoria DYAL was born 11 Nov 1865, Milton, Santa Rosa, Florida, USA; was buried , Pleasant Valley Cemetery, Pandora, Wilson, Texas, USA. 4. Elle Jay DYAL was born 13 Jun 1866, Milton, Santa Rosa, Florida, USA; died 26 Apr 1932, San Antonio, Bexar, Texas, USA; was buried 29 Apr 1932, Mission Burial Park South, San Antonio, Bexar, Texas, USA. Lillie Ola DYAL was born 10 Jun 1868, Milton, Santa Rosa, Florida, USA; died 27 Jul 1950, Pandora, Wilson, Texas, USA; was buried 28 Jul 1950, Pleasant Valley Cemetery, Pandora, Wilson, Texas, USA. Charles DYAL was born 31 Dec 1873, Milton, Santa Rosa, Florida, USA; died 6 Feb 1940, San Antonio, Bexar, Texas, USA; was buried 7 Feb 1940, Steele Branch Cemetery, Stockdale, Wilson, Texas, USA. 10. Absalom Tidwell TUMLINSON was born 14 Dec 1827, Arkansas Territory, USA (son of Peter Frank TUMLINSON and Ann TIDWELL); died 16 Feb 1889, Pleasanton, Atascosa, Texas, USA. 11. Cynthia Jane BAKER was born 15 Apr 1837, Mississippi, USA (daughter of Lorenzo Dow BAKER and Sarah Ann BURLESON); died 2 Oct 1902, Pandora, Wilson, Texas, USA. John Absalom TUMLINSON was born 18 Mar 1863, Texas, USA; died 14 Apr 1919; was buried , Pleasant Valley Cemetery, Pandora, Wilson, Texas, USA. Sarah Matlida TUMLINSON was born 24 Mar 1866, La Salle County, Texas, USA; died 24 Feb 1928, San Antonio, Bexar, Texas, USA; was buried , Pandora, Wilson, Texas, USA. Amanda Catherine TUMLINSON was born 7 Mar 1868, Atascosa County, Texas, USA; died 17 Jan 1955, Midland, Midland, Texas, USA; was buried 18 Jan 1955, Hawley Cemetery, Hawley, Jones, Texas, USA. Melinda A. TUMLINSON was born 30 Jul 1870, Texas, USA; died 6 Feb 1959, Houston, Harris, Texas, USA. James Franklin TUMLINSON was born Jan 1874, Lookout, Bexar, Texas, USA; died 26 Apr 1918, San Antonio, Bexar, Texas, USA; was buried 27 Apr 1918, City Cemetery #7, San Antonio, Bexar, Texas, USA. Jonathan Marion TUMLINSON was born 4 Jul 1875, Texas, USA; died 21 Jun 1950, New Braunfels, Comal, Texas, USA; was buried 24 Jun 1950, Pleasant Valley Cemetery, Pandora, Wilson, Texas, USA. 5. Isa Lee TUMLINSON was born 24 Nov 1877, Pleasanton, Atascosa, Texas, USA; died 30 Sep 1950, San Antonio, Bexar, Texas, USA; was buried 2 Oct 1950, Mission Burial Park South, San Antonio, Bexar, Texas, USA. Rufus Ashton TUMLINSON was born 15 Apr 1880, Texas, USA; died 27 Dec 1926, San Antonio, Bexar, Texas, USA; was buried 28 Dec 1926, Pleasant Valley Cemetery, Pandora, Wilson, Texas, USA. 12. Henry William SPECKELS was born 15 Jan 1864, Warrenton, Fayette, Texas, USA (son of John Christopher SPECKELS and Gesche Margarethe IMKEN); died 7 Nov 1931, Austin, Travis, Texas, USA; was buried 8 Nov 1931, La Grange City Cemetery, La Grange, Fayette, Texas, USA. 13. Anna MEERSCHEIDT was born 2 Aug 1865, Nassau, Fayette, Texas, USA (daughter of Arthur Carl Wilhelm Gustav Anton Archibald VON MEERSCHEIDT-VON HUELLESSEM and Amanda Karoline VON ROSENBERG); died 29 Sep 1895, La Grange, Fayette, Texas, USA; was buried , Old La Grange City Cemetery, La Grange, Fayette, Texas, USA. Lillian Edna SPECKELS was born 10 Jul 1891, La Grange, Fayette, Texas, USA; died 1 Mar 1969, Austin, Travis, Texas, USA; was buried 3 Mar 1969, Austin Memorial Park, Austin, Travis, Texas, USA. 6. Gilbert Otto SPECKELS was born 10 Sep 1892, La Grange, Fayette, Texas, USA; died 20 Aug 1969, Van Nuys, Los Angeles, Los Angeles, California, USA; was buried 25 Aug 1969, Glen Haven Memorial Park, Sylmar, Los Angeles, Los Angeles, California, USA. 14. Arthur Joseph KING was born 1 Feb 1869, Alabama, USA (son of Cornelius Coppage KING and Frances Elizabeth MOCK); died 13 Mar 1936, Floresville, Wilson, Texas, USA; was buried 15 Mar 1936, Mission Burial Park South, San Antonio, Bexar, Texas, USA. 15. Elizabeth EICHEN was born 22 Jan 1868, Schweighof, Müllheim, Lörrach, Baden (daughter of Johannes EICHIN and Magdelena SCHAUBHUT); died 31 Oct 1954, San Antonio, Bexar, Texas, USA; was buried 2 Nov 1954, Mission Burial Park South, San Antonio, Bexar, Texas, USA. 7. Ellen Mae KING was born 16 Oct 1890, Sayers, Bexar, Texas, USA; died 9 Jan 1978, San Antonio, Bexar, Texas, USA; was buried 11 Jan 1978, Mission Burial Park South, San Antonio, Bexar, Texas, USA. Arthur Cornelius KING was born 29 Jan 1893, San Antonio, Bexar, Texas, USA; died 11 Apr 1950, Refugio County, Texas, USA; was buried 14 Apr 1950, Mission Burial Park South, San Antonio, Bexar, Texas, USA. Fannie Elizabeth KING was born 5 Oct 1895, Sayers, Bexar, Texas, USA; died 29 Dec 1915, San Antonio, Bexar, Texas, USA; was buried 31 Dec 1915, Mission Burial Park South, San Antonio, Bexar, Texas, USA. Irene Clara KING was born 8 Dec 1897, Texas, USA; died 27 Mar 1985, San Antonio, Bexar, Texas, USA; was buried 29 Mar 1985, Mission Burial Park South, San Antonio, Bexar, Texas, USA. George L. KING was born Abt 1900; died 15 Oct 1906, San Antonio, Bexar, Texas, USA; was buried , City Cemetery, San Antonio, Bexar, Texas, USA. Richard Leslie KING was born 8 Sep 1902, Sayers, Bexar, Texas, USA; died 9 Jan 1987, Floresville, Wilson, Texas, USA; was buried , Floresville City Cemetery, Floresville, Wilson, Texas, USA.